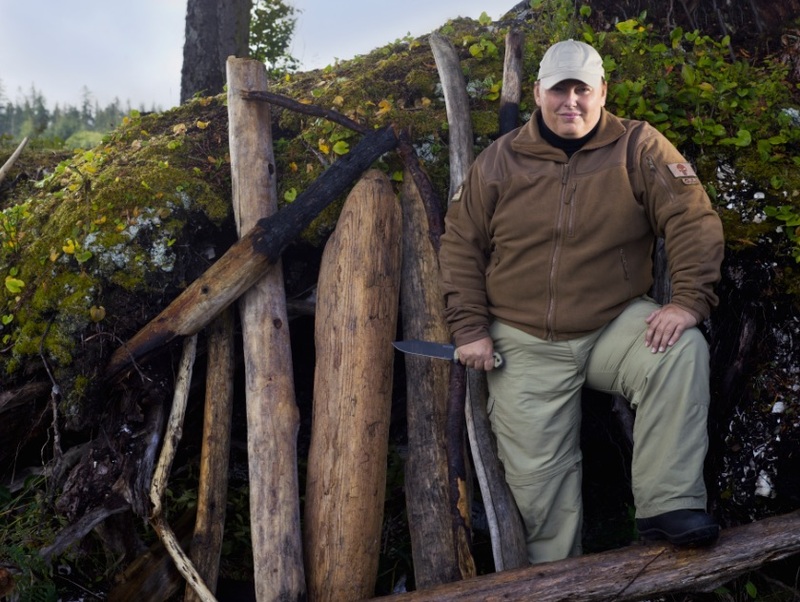 History's popular survivalist competition Alone debuts its second season tonight—which means 10 more brave, bold souls will march into the Canadian wilds with nothing but a pack of supplies and a video camera to potentially self-record their own demise. OK, I added that last part myself, but it seems plausible. Horrifying. But plausible. Unleashed into the wilderness of Vancouver Island, the (you say) fearless (I say nuts) men and women must fend for themselves, battling weather, starvation, loneliness—and as this exclusive clip from tonight's Season 2 premiere reveals, things that go bump in the night. Go bump and possibly destroy all their stuff. Including them. But if they're the last person to throw in the towel on the adventure, they take home a $500,000 prize. And a "What I Did On My Trip" home video like no other. South Carolina resident Tracy Wilson, 44, is a military brat and former solider and cop whose family taught her how to live off the land. In this clip, she's not the only one who's interested in her crackling campfire. Check out the trailer below for more of what awaits in Season 2 of Alone.